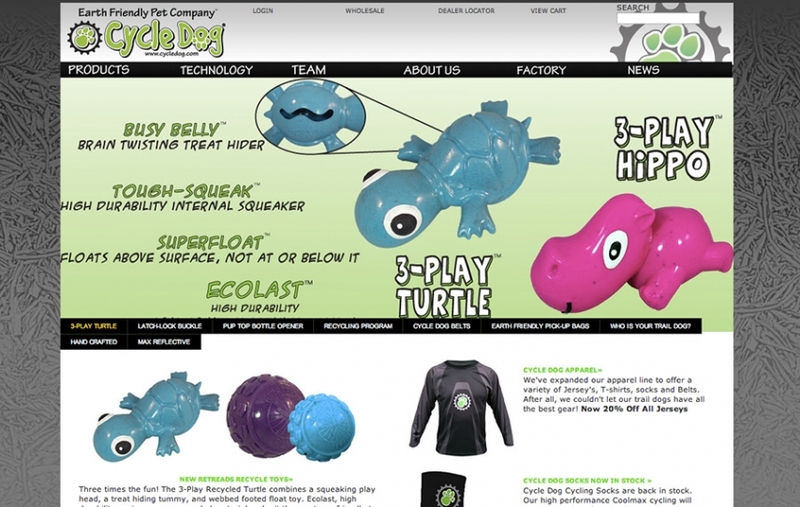 Cycle Dog's 3-Play Turtle Dog Toy. 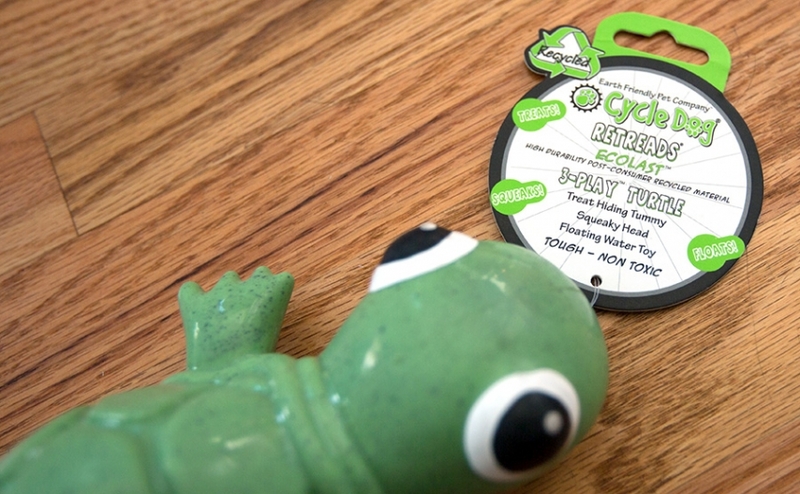 Squeaker in the head, treats go in his belly, floats, and it's made from eco-last material from post consumer recycled rubber. 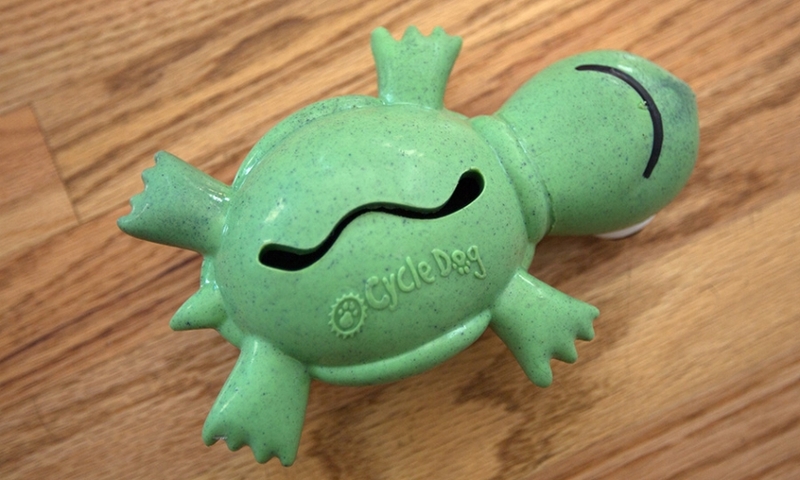 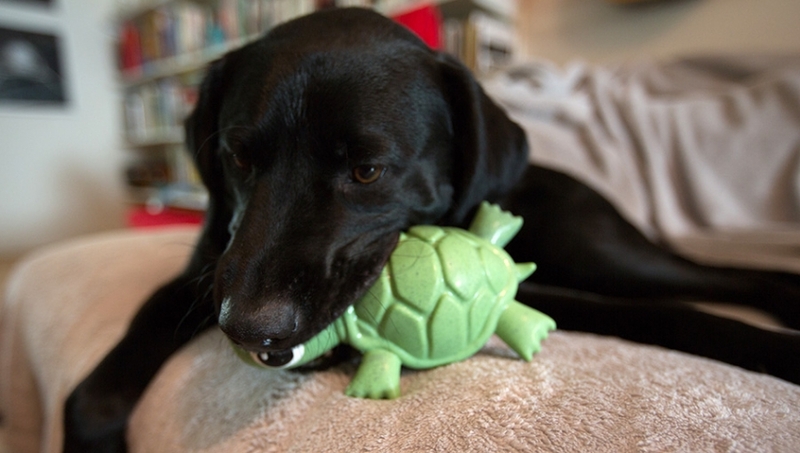 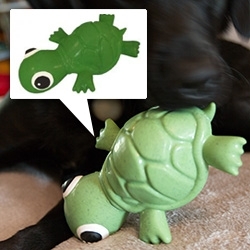 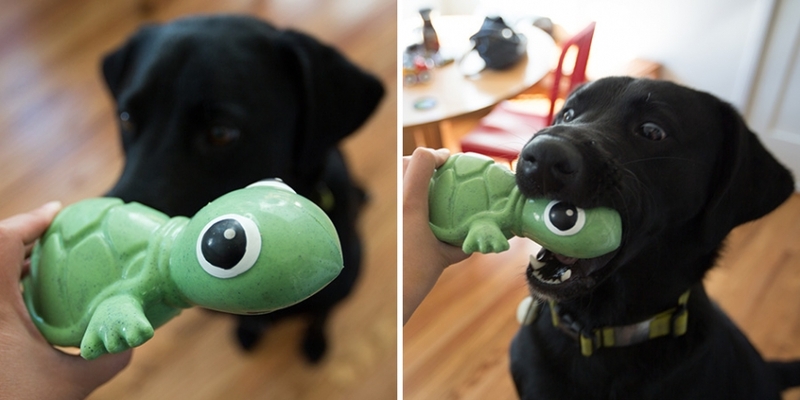 Here's a fun new toy Bucky the NOTlab just got... the Cycle Dog 3-Play Turtle Dog Toy. 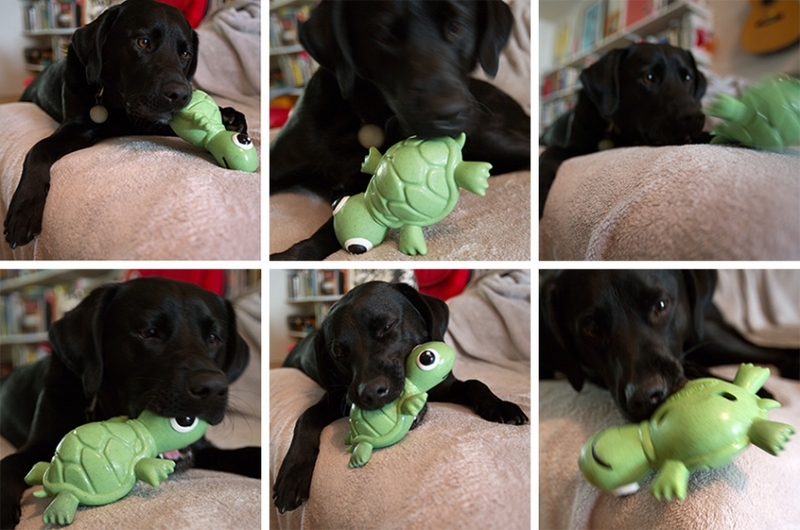 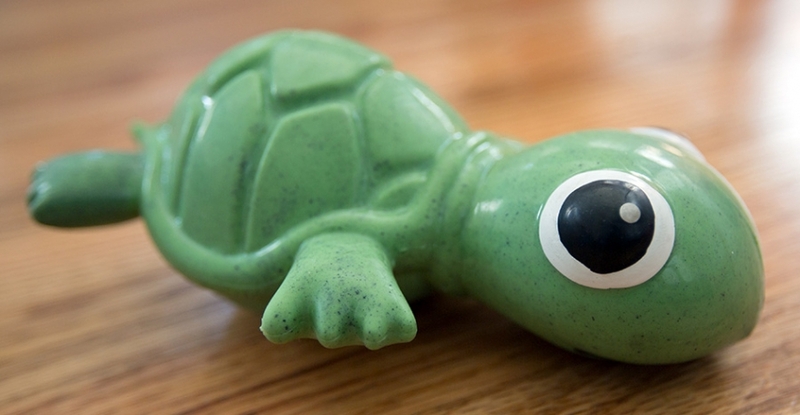 Love that beyond the adorable wide eyed turtle (as if he knows the torture that is coming to him) - he's made from consumer recycled rubber... beyond being a tummy filling treat toy, he even has a (quieter) squeaker in his head... and he floats! 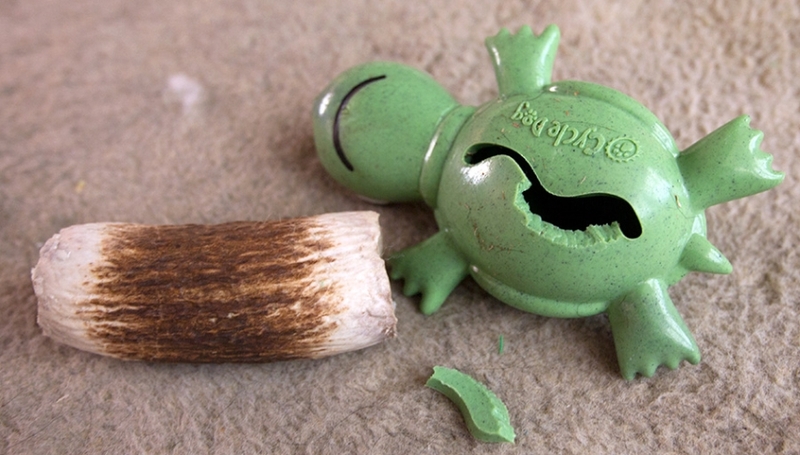 UPDATE: In the few minutes it took me to write this post... Bucky ran off to his bed, and i guess in the frustration of trying to get treats out, decided it worked better if the hole was bigger and gnawed this chunk off.